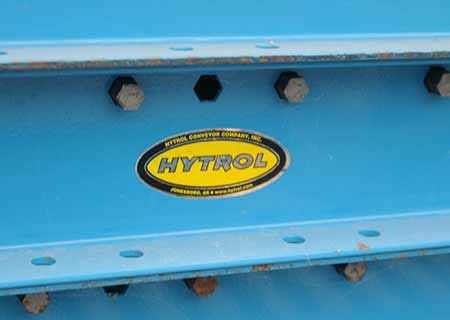 What is a Conveyor System? 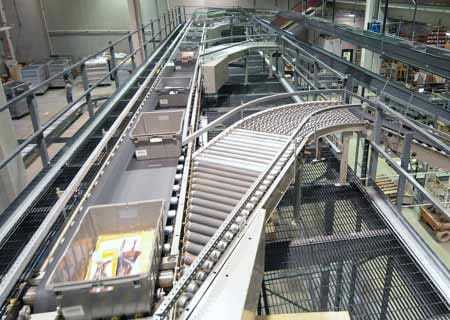 As an integral part of modern material handling, industrial conveyor systems add both efficiency and safety. 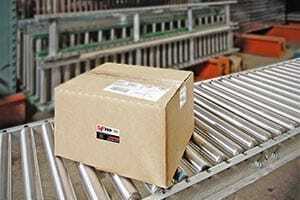 Where manual product transportation was time-consuming and hazardous to employees in the past, using today's conveyor systems allows for fast and safe material movement, saving time, money and keeping employees safer. 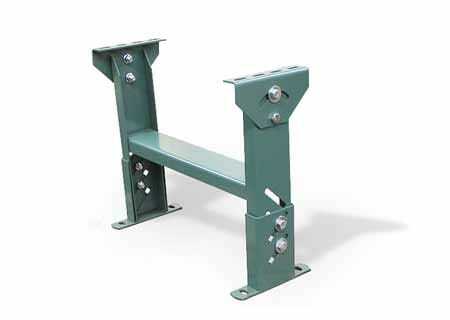 They offer an unlimited amount of flexibility. 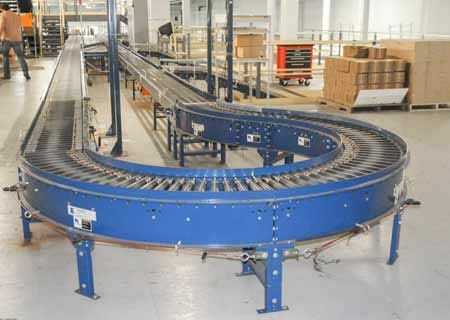 Many types of conveyor are available and can be customized to the specific needs of each individual company. 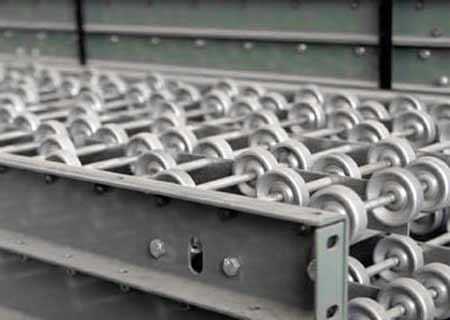 See our Gravity Conveyor Guide for more information on gravity conveyor or see our Powered Conveyor Guide for information on powered conveyors. 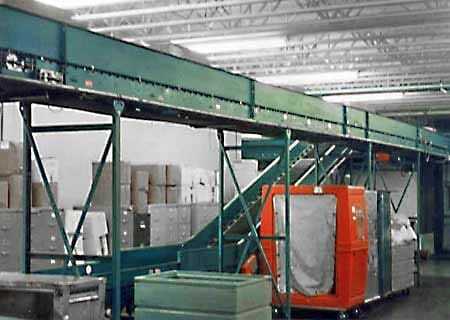 For more information on sortation conveyors, see our Sortation Conveyor Guide. 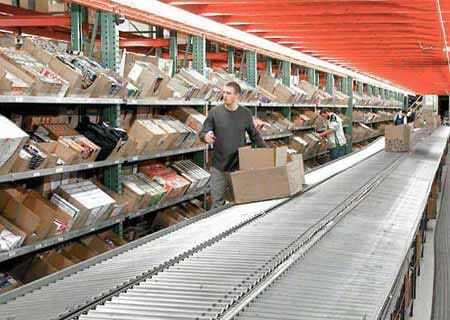 SJF Material Handling has successfully built many conveyor systems, providing clients automated custom solutions that demonstrate the benefit of automation in today's warehouse management systems. 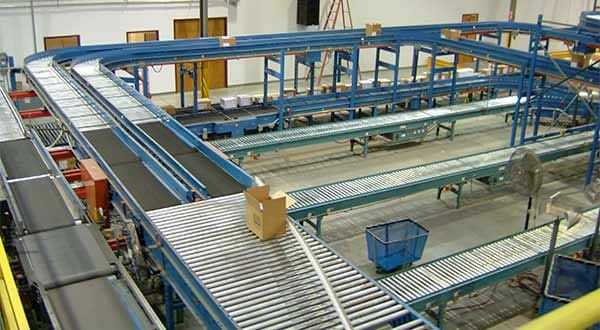 SJF stocks over 3 miles of new and used conveyors and conveyor systems. 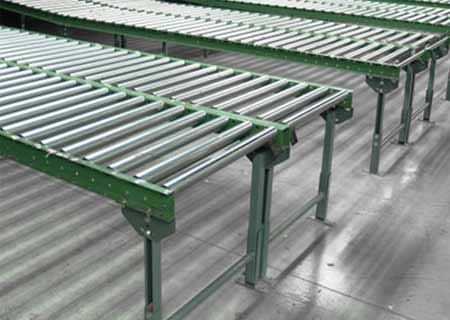 Our new and used conveyors are meticulously cared for and stored in modern indoor climate-controlled warehouses. 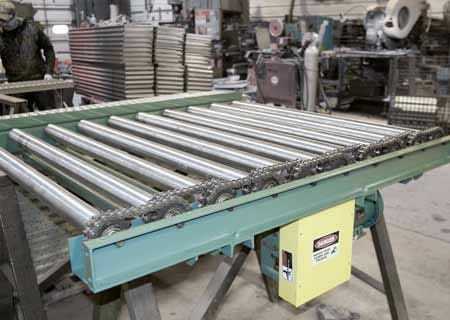 In business since 1979, SJF Material Handling has long been a "go-to" nationwide resource for all makes, models and sizes of gravity roller conveyor, powered roller and belt conveyors, as well as sortation systems and other material handling and conveying systems. 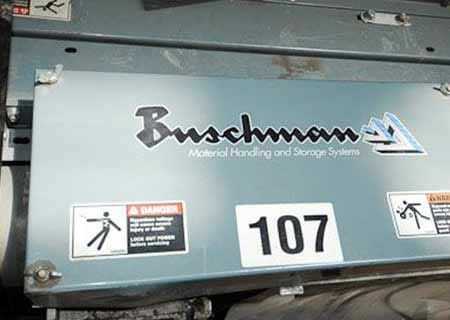 We stock everything from hard-to-find parts and accessories to complete warehouse execution systems with automated software and management systems. 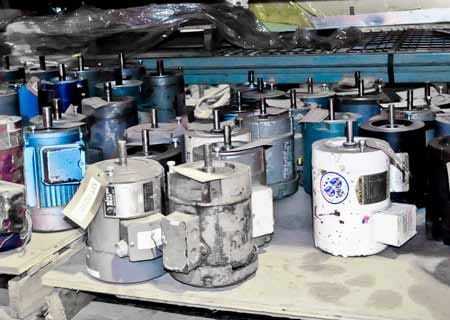 Have a limited or tight budget right now? 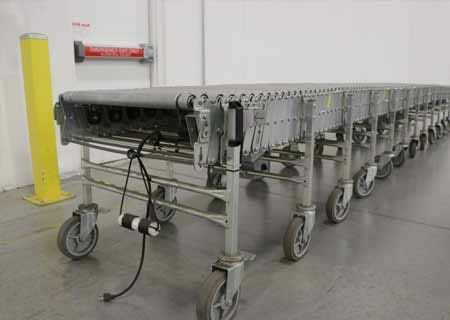 SJF's refurbished conveyors offer the features and functionality of new conveyor but is often priced 30-80% less! 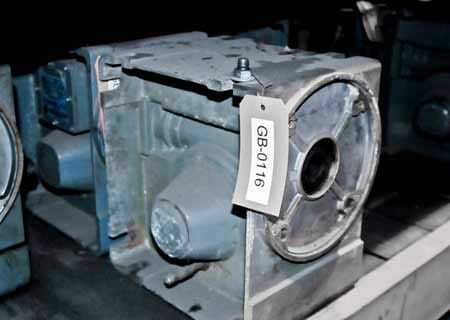 Refurbished conveyers also offers shorter lead times! 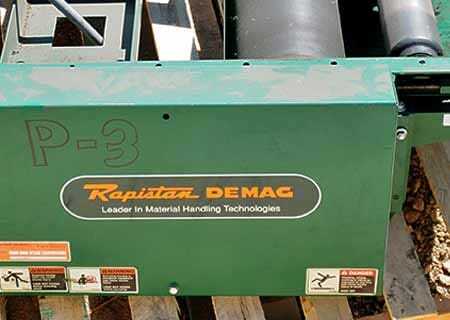 Whether you are in the market for new, used or refurbished conveyors, give us a call. 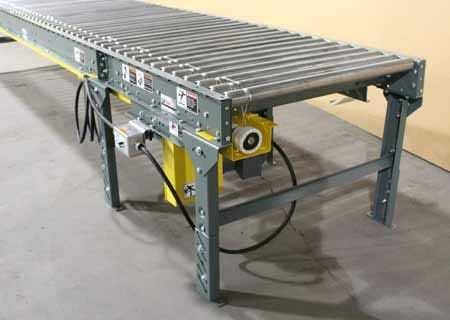 SJF's team of professional conveyor specialists will assist you with finding the equipment you need at a price you can afford. 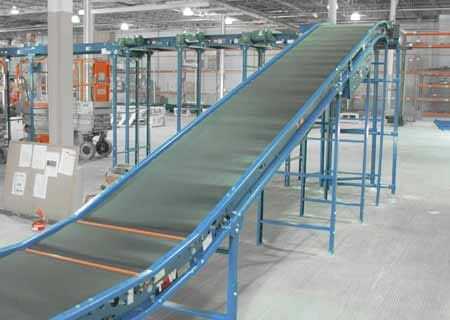 Our goal is to make your conveyor purchasing experience a good one. 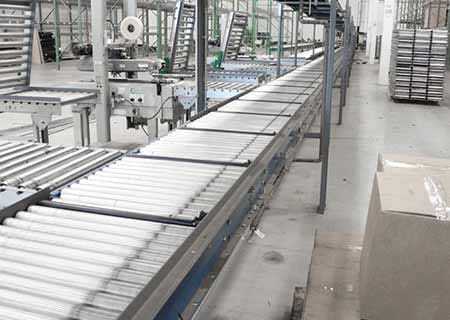 SJF's conveyor specialists will cover everything you need to get the job done - from explaining the different automated material handling systems available to providing engineering and control systems support. 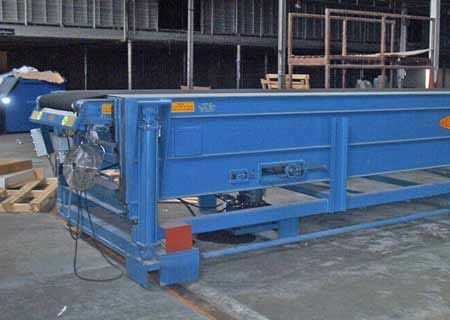 They will even make arrangements to install and test run the conveyor to provide you a true turn-key conveyor solution for your business. 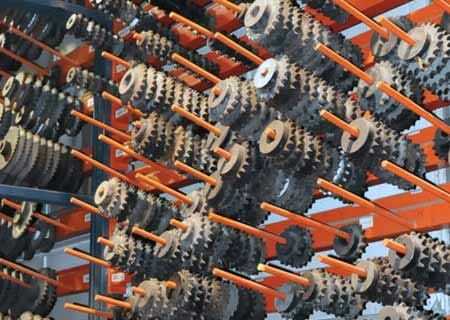 From adding a few pieces of conveyor to an existing set up or designing a brand new working system, we can help. 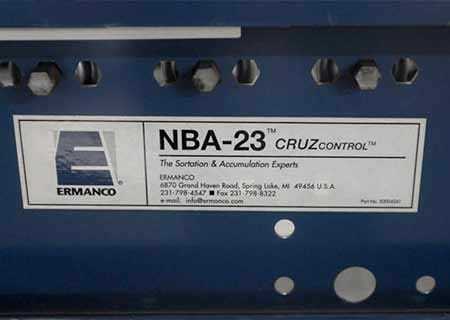 Call us at (320) 485-4974 (direct sales line) or (800) 598-5532. 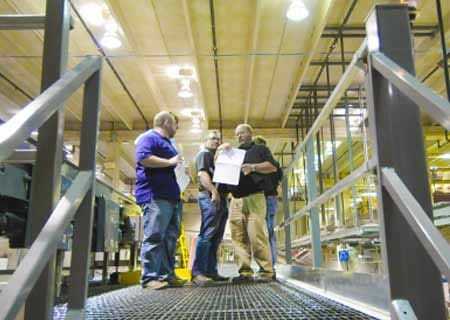 If you're interested in a complete warehouse consultation or evaluation, please visit our Warehouse Consultation page to get started.